Rio Salado College | RioNews: PTK Water & Toiletries Drive Huge Success! PTK Water & Toiletries Drive Huge Success! 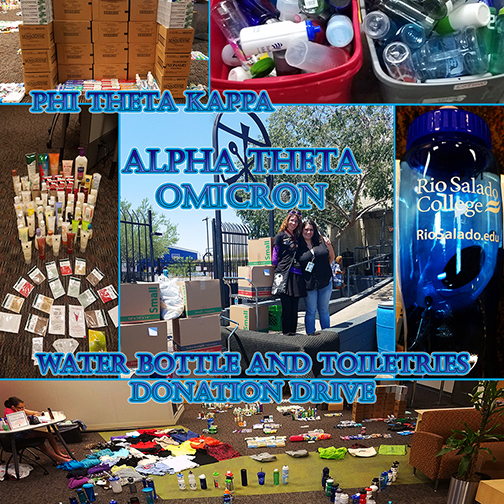 A big thanks to the donors, volunteers, and all who helped make the Rio Salado Phi Theta Kappa (PTK) chapter Water Bottle and Toiletries Drive an incredible success. 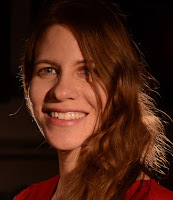 And special kudos to the PTK team for spearheading the charitable project, which brought in 70 reusable water bottles, 949 tubes of toothpaste, 90 bottles of body lotion, 82 bars of soap and much more. “The André House was absolutely thrilled when they saw the donations,” reports Evea Morrow, Rio Salado Honors Program Assistant. The André House was founded in 1984 by two Holy Cross Priests and is a ministry to the homeless and poor populations of the Phoenix area. Their services are available to hundreds of people in need every day.